Five Little Ducks by Ivan Bates (Orchard Books, 2006). I love to share books that I can sing and "Five Little Ducks" is one of my favorite songs, so of course this lends itself nicely to my baby storytime. Ask parents to sing along with you (though many will automatically tune in with this familiar song). Jump! 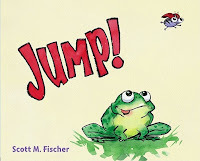 by Scott M. Fischer (Simon & Schuster Books for Young Readers, 2010). This was an unexpected hit! I might not have chosen to use this one for babies, but I saw it mentioned at Mel's Desk and I decided to give it a try. Not only did the kids LOVE it, but I had one mom report that they had an unread copy at home (I think they got it in a cereal box) and after I read it with the group, her little boy started asking for it at home! The text is nice and rhythmic and then whenever it gets to the word "Jump!" I asked parents to lift up babies or lift up their arms. Wow! Said the Owl by Tim Hopgood (Farrar, Strauss & Giroux, 2009). In this book, a little owl decides to stay up during the day and he is wowed by all the beautiful colors he sees. I ask the parents to join in on each "Wow!" as we turn the page. 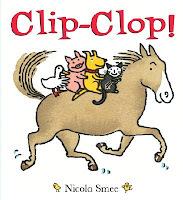 Clip-Clop by Nicola Smee (Boxer Books, 2006). As Horse clip clops along, all the other animals ask him for a ride. They want to go faster and faster until suddenly they're going too fast and Horse stops, causing all the animals to fly off into the haystack. Of course they all cry out, "Again!" just like your little ones will! 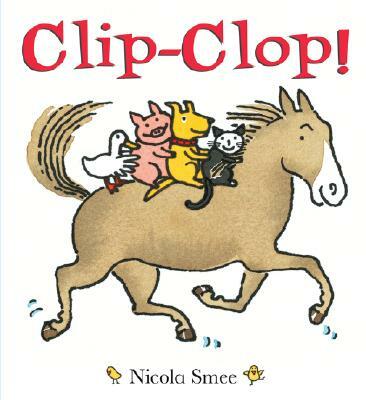 I ask the parents to "clip-clop" along with me by hitting their hands on their knees. This book would also make for a great bounce with babies on knees, bouncing faster and faster as the horse picks up speed. 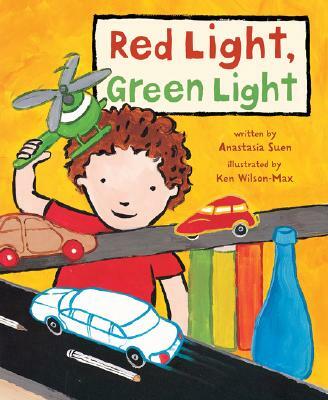 Red Light, Green Light by Anastasia Suen (Gulliver Books, 2005). 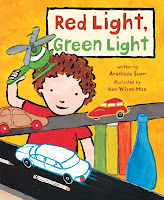 Many of the little ones who attend my baby storytime love cars and things that go, so this is a great book to share with them. The rhythmic text lends itself to being sung and I sang it to the tune of "Twinkle Twinkle Little Star". Many rhyming picture books lend themselves easily to common tunes and singing will often keep a very young child's interest longer than straight reading in a group setting. If you can't carry a tune, don't worry about it - the babies don't care! 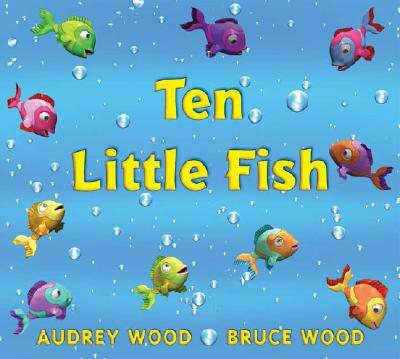 Ten Little Fish by Audrey Wood (Blue Sky Press, 2004). 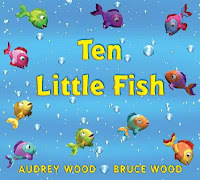 Something about these colorful computer illustrations is just mesmerizing to kids and the rhyming counting text makes it a good book to share with babies. I have the adults count along with me as we count from ten little fish all the way down to one (and then quickly back to 10 again!). The Wheels on the Bus by Paul O. Zelinsky (Dutton Juvenile, 1990). Everyone loves to sing along with The Wheels on the Bus! The moveable parts in this book will capture the attention of older siblings and parents while the babies will be captivated by the singing. What books do you love to do with very young children? What do you do to get kids and parents involved and interested when you're reading?